Green Leaf is here to assist homeowners, business owners and property managers with their Tulsa holiday lights this year. Our ultimate goal is to provide you with the perfect holiday atmosphere by hanging up those lights and making sure that their absolutely perfect. You receive a free on-site estimate for your company or for your home. Make sure that you have the best and most professional company to hang up the lights. We are the company that meets your needs every time. Call today at 918-640-640. During the warm seasons Green Leaf is known for providing excellent lawn care service, landscaping, weed control and other quality services that are turning Tulsa lawns into beautiful masterpieces. But when the holidays roll around we put away the lawnmower and we get in to our holiday Christmas sled. What are we delivering? Quality service, Tulsa holiday lights and the best lighting technicians in the city. We also provide you with designers who can install beautiful garland and pre-lit holiday wreaths. We create the ideal holiday atmosphere for every customer and homeowner who calls us. Why hire somebody to install your holiday lights? That has a very simple answer. It saves you time. The holidays are probably one of the most busiest times of the year for most people. You have to make a list, check it twice and get it done before December 25. You have to find a tree, purchase those last remaining gifts, book the hotel for your in-laws, plan your holiday event, make sure the tree fits through the door and you also have to hang up your lights. This generally involves you climbing through your dirty attic and looking for that half taped up box filled with Christmas lights wadded into a tangled mess. That is where Green Leaf steps in. Our goal is to make sure that you don’t overstress this Christmas season. 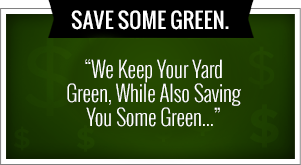 We arrive on-site at your home, take measurements and give you a free estimate on what it’s going to cost. And if you’re planning a holiday event we have partnered with the experienced and creative lighting technicians that have an eye for providing the perfect ambiance for your home or company event. Have a Merry Christmas by hiring Green Leaf. You want your home to look fantastic and you want to impress your neighbors please give us a call today. It’s important to start planning now so that you’re not worrying about it when the holidays start to come around. Christmas comes and Christmas goes. Make sure that your enjoying the way that you should be. It doesn’t do anyone any good to stress over the holidays and forget to enjoy the time they get to spend with their family. We save you time, money and we are the number one choice for hanging up Tulsa holiday lights. 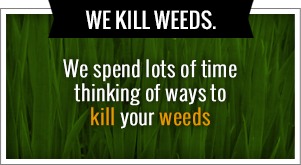 During the warm seasons Green Leaf is known for providing the best lawn care service and weed control. But when Christmas time comes around, Green Leaf is ready to hang up Tulsa holiday lights for home owners all across the city! We pride ourselves in providing quality service and lighting installers who know what their doing. We are here to help home owners, property managers and business owners with their lighting installation this year. Call today at 918-640-640. Green Leaf is here to create the best holiday atmosphere for your home! We arrive on-site to give you a FREE home lighting estimate. We come to install and we test the lights to make sure that they are working. Before you know it, you have a Winter Wonderland outside your door! We save you the hassle of crawling through that dirty attic and searching for that wad of Christmas lights. Who wants to do that? No one! We take care everything from start to finish. We help you get the ideal look and feel of your holiday home. Why hire someone to install your Tulsa holiday lights? It saves you time! The holidays are busy and can even be stressful. Our goal is to take away a portion of that stress. We understand that you have a long list of To-Dos and your checking it twice! You have to find the tree, book the hotel for your parents, decorate the tree, purchase the gifts, wrap the gifts and place them under the tree. If you can get the tree threw the door. There are hundreds of things to get done before December 25th. Why not mark off hanging up your lights this year by hiring Green Leaf. And if you’re throwing a holiday party this year we can take care of that to. In fact we have partnered with the experience lighting crews to provide free estimates on lighting your holiday party or Christmas corporate event. Our ultimate goal is to provide you with the ideal holiday atmosphere by giving you the lights and the quality service that you deserve. No one is going to do a better job than Green Leaf. You can count on us to get it right the first time and make sure that everything goes smoothly. If you have any more questions for the leading lighting installers and experts here at Green Leaf please don’t hesitate to give us a call. We can answer all of your questions and we do an on-site home estimate to tell you exactly what it’s going to cost. We are ready to help you out during the holidays and get your property looking excellent. We come, install the lights and test lights to make sure they are working. Enjoy your Christmas holiday by not having to hang up your lights.